Cornwall is a fabulous walking county, with hundreds of miles of coast paths and moorland walks. We've sketched a few walks below, but would recommend you take a look at Walking in Cornwall as this very useful database has over 150 walks to download for free, neatly arranged by location. 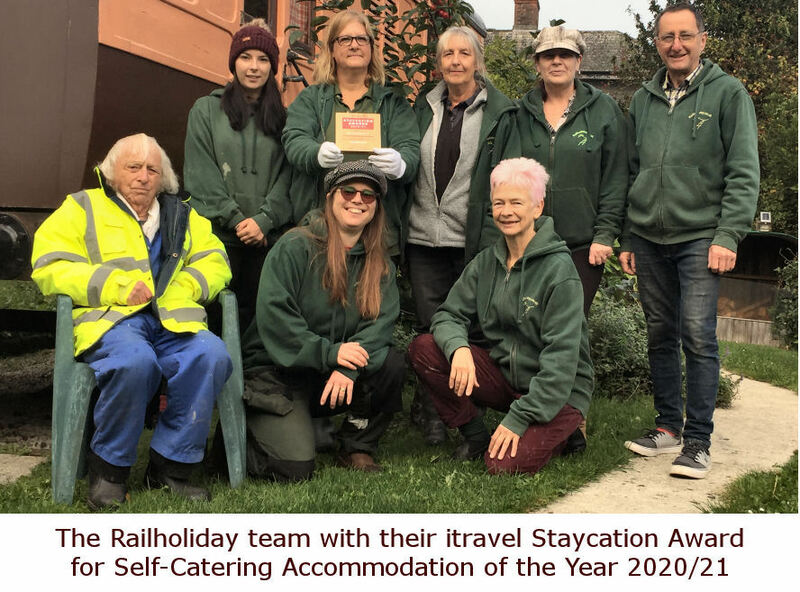 For a guided walk around Cornish gardens, you couldn't wish for better than Jeremy of Cornwall Garden Tours who offers a door to door service, can pick up from any railway station and offers 15 percent off to Railholiday guests. We like going up to the moors at Minions and Kit Hill and exploring the historic mine ruins and following the routes of the mineral railways. An OS map of the area is provided in the carriages for you to discover new trails. Alternatively you can take a bus from Plymouth (or a water taxi in the summer) to the stunning Rame peninsula and walk around Rame Head and the coast. The Coastal Footpath - only 3 minutes walk from Harvey! Hayle Heritage Trails - council document listing town trails around Hayle. King George's Walk - beautifully landscaped walk suitable for pushchairs and wheelchairs. Walking Hayle Towans to Gwithian Bridge - 3 miles - an easy walk across the Towans. Lelant to Hayle - 3.7 mile easy walk, with a train link back to Hayle. Hayle Millponds and Foundries - an easy walk taking in some of Hayles wildlife and remarkable industrial heritage. Footloose in Hayle - A Hayle town council publication detailing eight walks around the town. The Engine House Trail - 24 miles of trails along mine railway workings around Hayle, Redruth and Camborne. Can also be enjoyed on a bike. First and Last Trail - 25 miles from Penzance to Landsend. Great for cyclists too. Catch a train to Bodmin Parkway, walk along the carriage drive to the National Trust's fabulous Lanhydrock House and Gardens. Complete your walk by following the footpath through the estate and past Restormel Castle to the charming town of Lostwithiel. Catch a train to Par and walk along the coast path to the smart seaside town of Fowey. Catch the hourly us back to Par station. Catch the train to Calstock and change at Plymouth onto the amazing Tamar Valley Line. 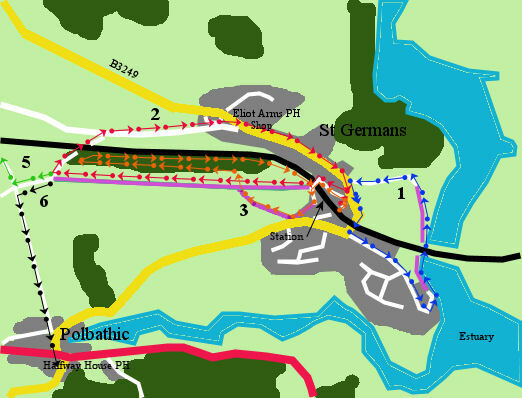 Alight at Calstock or if you have time stay on to the end of the line at Gunnislake. It's really worth doing this switchback part of the route. Stay on the train and return to Calstock. Walk to Cothele House along the river and then through the woods. You could extend your walk by exploring the trail through the Danescombe valley. Trails from the track - Lots more ideas on this excellent website.